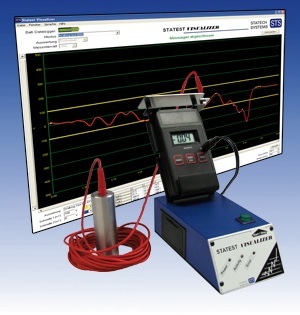 The Visualizer is especially suited for measuring charges on persons (walking tests). The test results are automatically evaluated according to IEC 61340-4-5. The device can also be used for monitoring charges on machines etc. 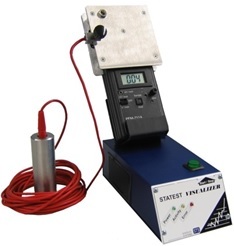 and features additional evaluation functions, such as the decay time of ionizers. Other measuring instruments with an analog output (such as hygrometers) can be added to the software. The recorded data can be saved graphically as bitmap file (*.jpg) or in a Microsoft Excel table for further processing. cable and a USB adapter for connection to a PC or laptop.